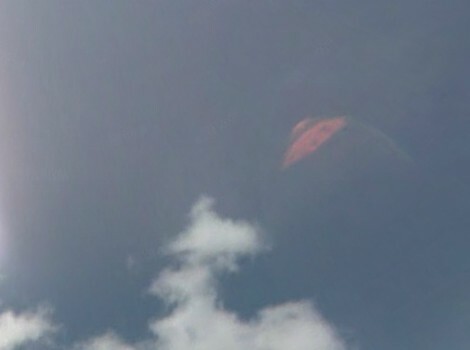 The two pink UFOs spotted over Texas and New Mexico recently via Google Street View have skeptics and believers busy developing theories to explain their origin. Theories range from actual UFOs to a trick of the camera. A report on Ringside Report dated Sept. 29, quotes Anthony Austin, who is described as an ex-scientist from NASA. According to the report, Anthony Austin, confirms that the UFO’s are Nazi Saucers. Although Anthony Austin’s background as a NASA scientist has not been confirmed at this time, the legend of Nazi Saucers is widely known. Many UFO enthusiasts believe that the Germans built flying ships based on alien technology in the 1950s. No conclusive evidence of the existence of Nazi Saucers has ever been produced, but according to Anthony Austin, the two pink UFOs spotted via Google Street View just might be it. The two UFOs discovered via Google Street View are located 1,000 miles apart and appear to hover over Texas and New Mexico. Although they have yet to be identified, theories include lens flares, reflections from the golden arches at McDonalds, reflections of Taco Bell signs, pink clouds and Nazi Saucers. For now, the true origin of the mysterious pink UFOs remains unclear.